Lightning Bay Pneu-Draulics offers precision machining, milling and turning, and fabrication in the Tampa Bay area and beyond. Lightning Bay is your one stop precision machine shop! Lightning Bay Pneu-Draulics is a service based company which provides customers with all of the offerings of a Machine Shop. LBP is dedicated providing high value in the production of custom metal fabrication, industrial steel fabrication, turnkey aluminum fabrication and custom stainless steel fabrication. Our staff includes engineers, technicians and assemblers capable of managing or guiding your industrial metal fabrication. Lightning Bay Pneu-Draulics has been in business since 2004 providing world-class large part machining services to customers in many industries. Since then, a strong team of expert machinists, continuous investment in the latest technology equipment, and consistent performance have driven us along a path of steady growth. All of our projects are carefully planned and monitored, and we are on-call 24/7 to ensure top quality results on specification, on time, and on budget. We are experts at working with all types of materials. At Lightning Bay Pneu-Draulics, our capabilities are nearly endless. We have expert service technicians that have a passion for getting the job done right. With highly skilled laborers, top-of-the-line equipment and creative minds, we are capable of just about anything. From large scale Horizontal Boring Mill (HBM) to Machining projects, we can help. Whatever the job calls for, Lighting Bay Pneu-Draulics can ensure that all related services are done to specifications and are of the highest quality. Growing a business into the leading marine and industrial maintenance company in the Southeast is no small feat. 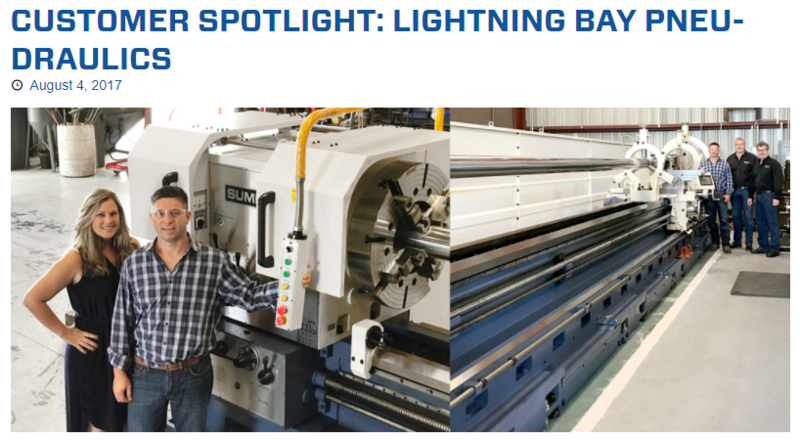 Owners David and Pam Faye of Lightning Bay Companies have worked hard to provide customers consistent parts and services since opening their doors in 2004. They handle it all when it comes to hydraulic service: field, shop, systems, components, overhaul, and manufacturing of new components and parts. 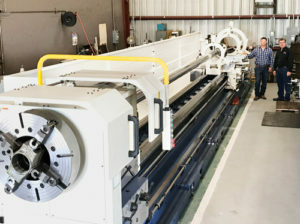 Lightning Bay’s shop, the Summit 42-14×360 manual lathe. The length and size of the machine made for a tricky installation. 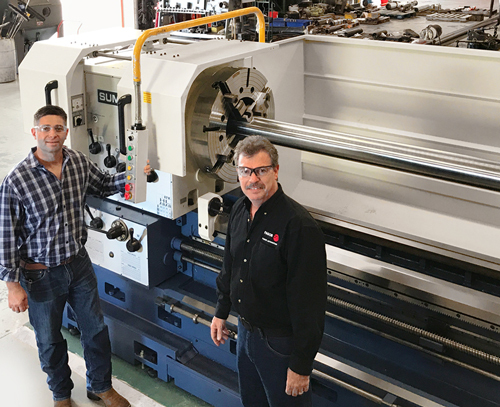 Steve Wendrick of Southern Machine Tool Rebuilders carefully planned and executed the difficult task. Summit has supplied metalworking solutions to customers for over 60 years. The current product line includes manual and CNC lathes, drills, manual and CNC vertical mills, and vertical and horizontal boring mills. Manual lathes range from 14-inch swings up to 100-inch swings and up to 480 inches between centers. 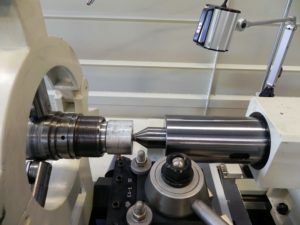 CNC lathes range from 14-inch swings up to 100-inch swings as well, and up to 360 inches between centers. The wide range of machinery helps customers find the exact fit they need, all under one roof.